Attributed to Friedrich Bergenfeldt, possibly after a design by Andrei Voronikhin. 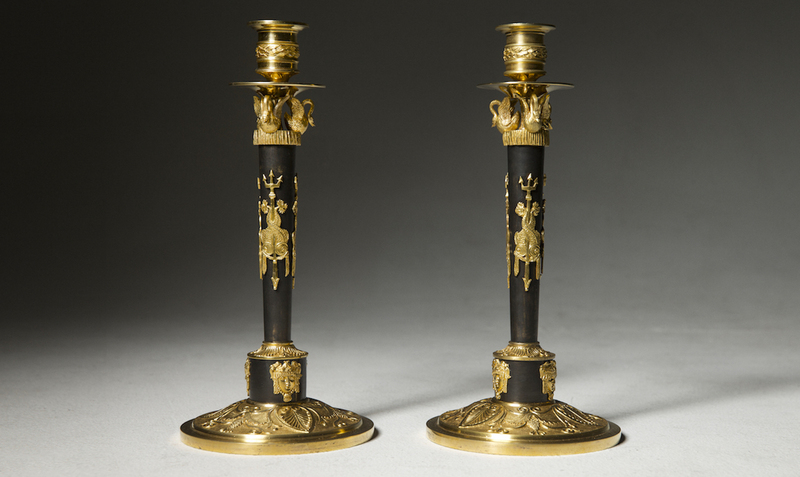 A pair of unusual and high quality candlesticks. 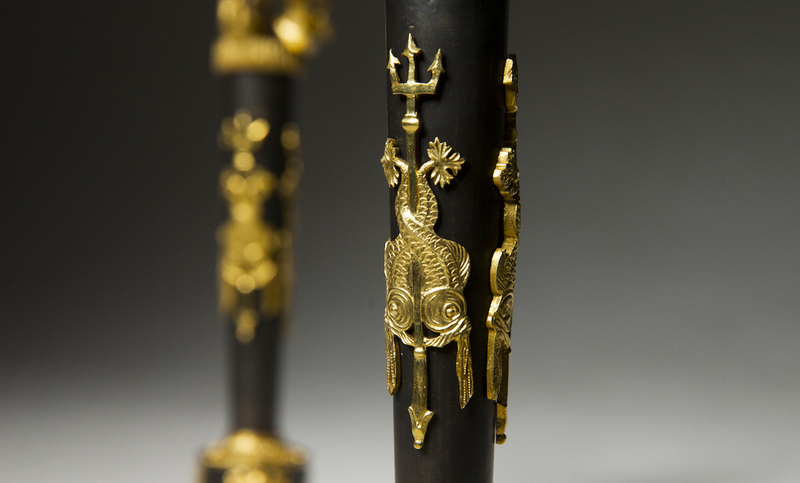 Each with a turned and tapering shaft decorated with interlaced dolphins centered by a trident. The shaft surmounted with three swans on a watery plinth. 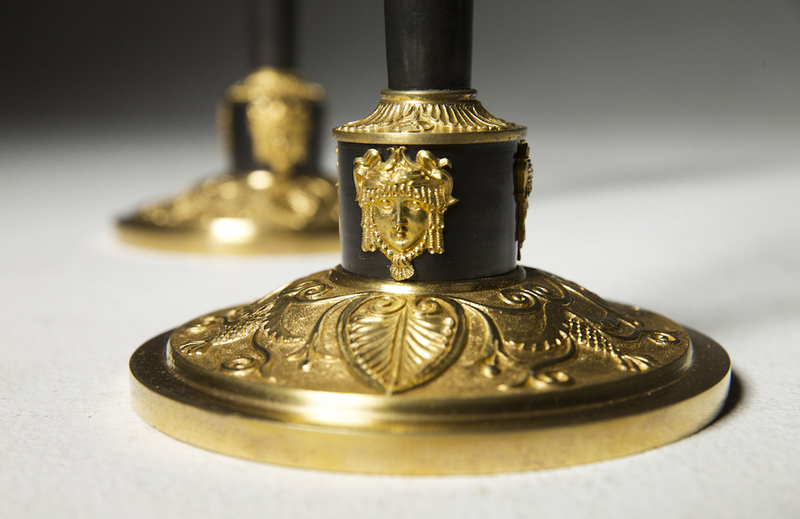 Each candlestick with a round base decorated with palmettes and classical masks. Friederich bergenfeldt was a German born Bronzier. 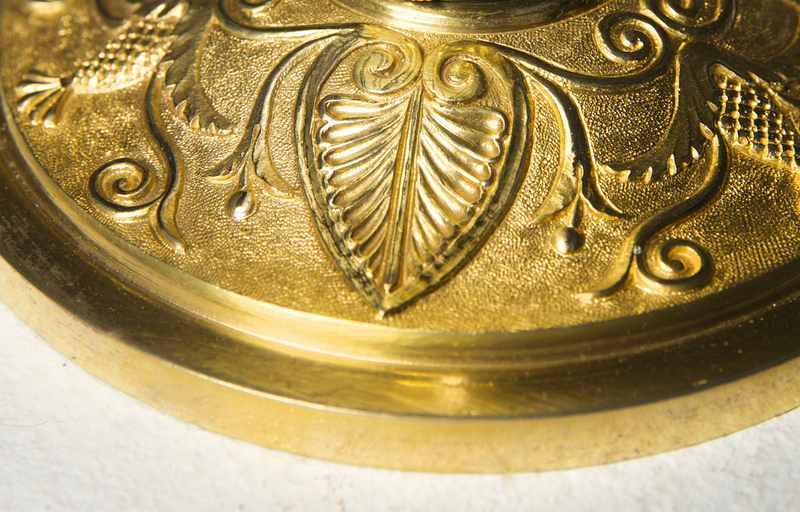 He may well have worked in Paris before coming to St: Petersburg since his bronzes show a distinct similarity with the work of Parisian Bronzier Claude Gallé. 1801 he was back and working in St: Petersburg. Friederich Bergenfeldt was very productive and with out a doubt one of the finest Bronziers ever to have worked in Russia. 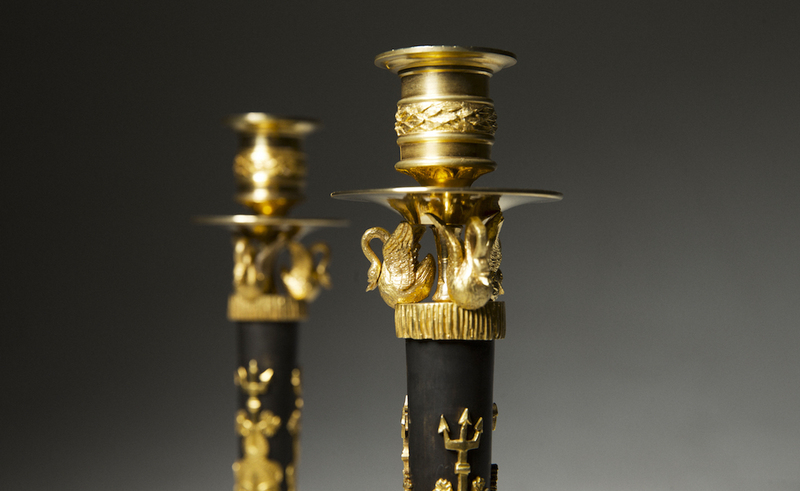 He supplied a numerous of bronzes for the Russian Imperial court and the aristocracy.